As you may know, here at Woodland Ways we're mad about deer! 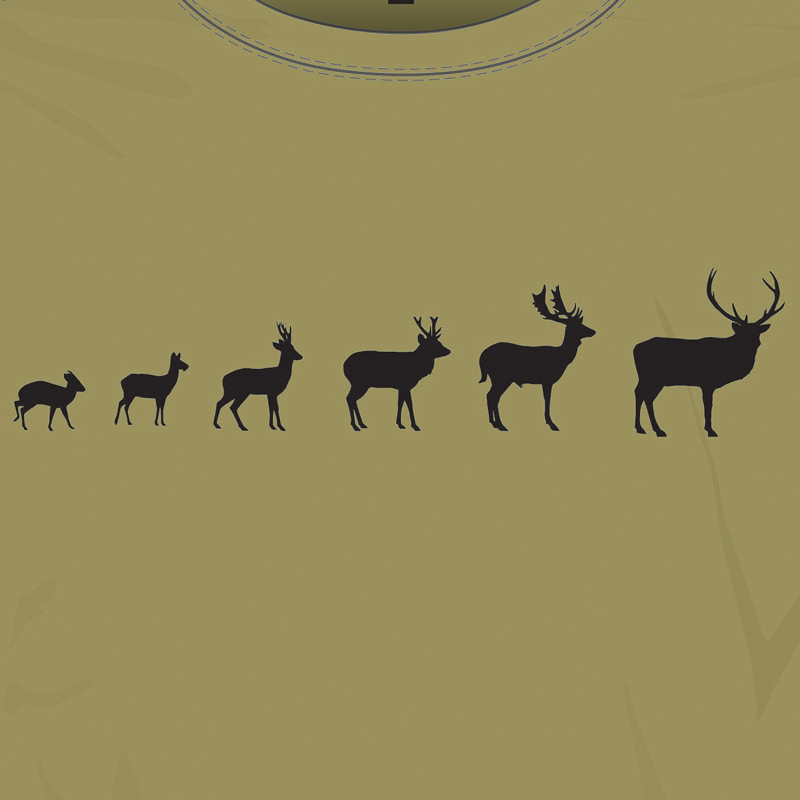 So much in fact we thought we'd design a T-Shirt with some great facts about all of the different species of deer that live here in the British isles. 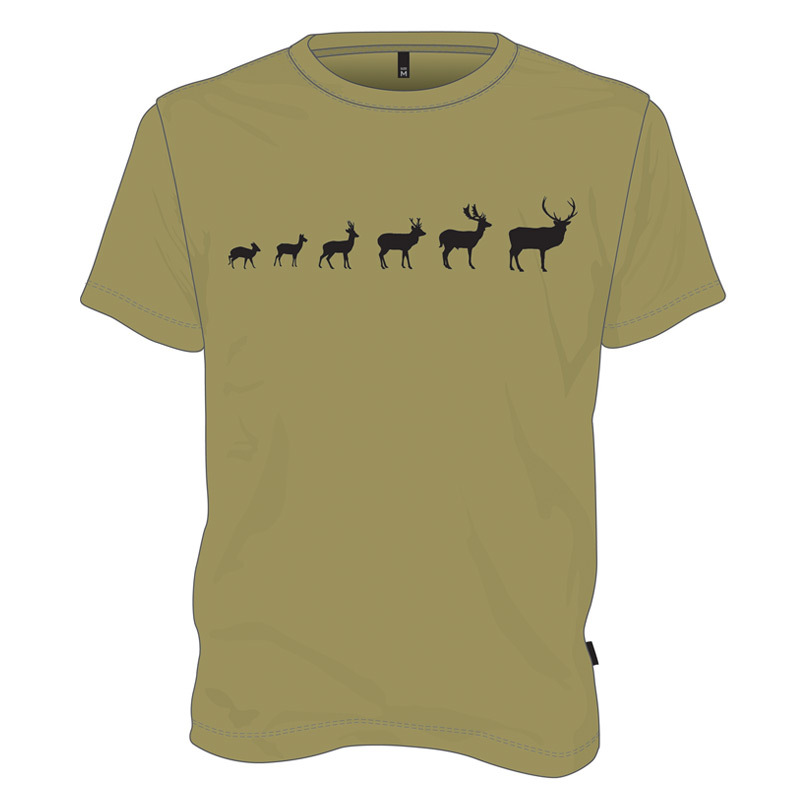 This T-Shirt describes all of the wild species of deer, both the British native species - Roe and Red, as well as introduced species that have found a home on our little island - Muntjac, Chinese Water and Sika. 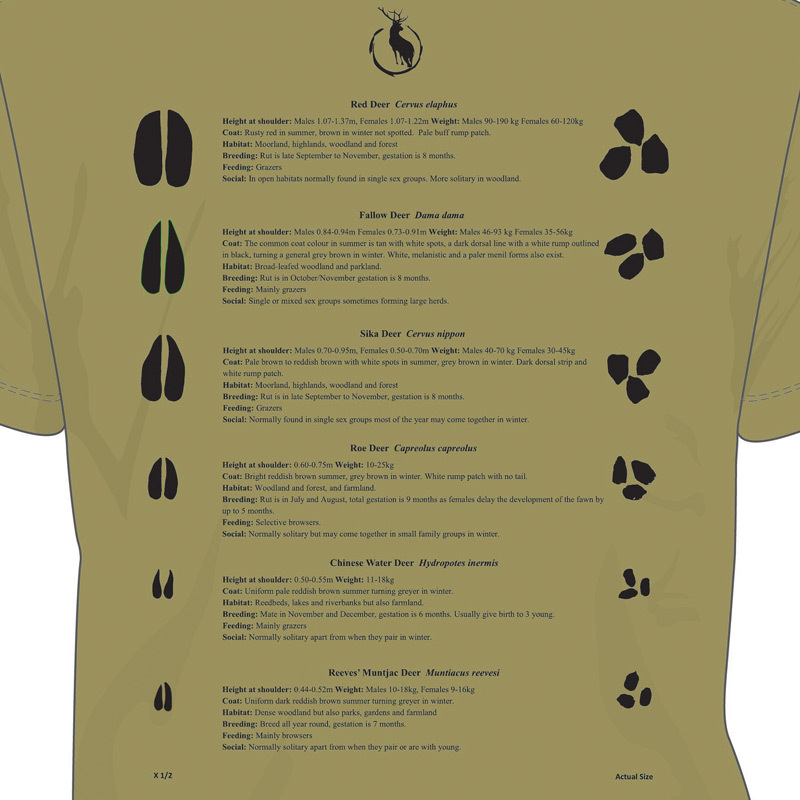 The facts shown on the T-Shirt include the Latin and common names for all the deer species as well as height at shoulder, coat colour, habitat, breeding patterns, feeding habits and social groups. 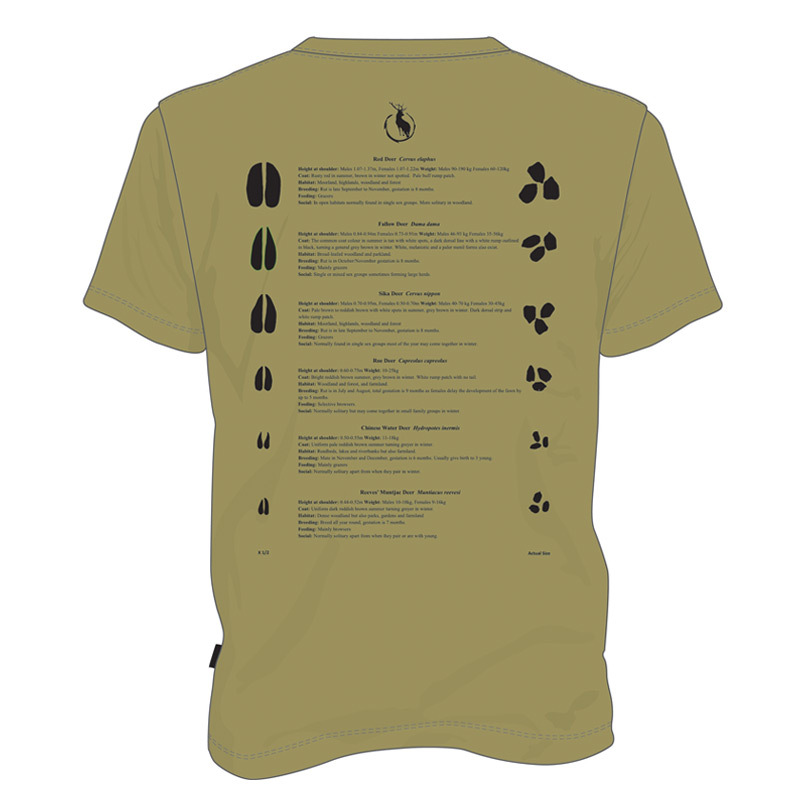 The T-Shirt also shows silhouettes of the different species, the hoof prints and stool diagrams. 35"- 37" 38"- 40" 41"- 43" 44"- 46" 47"- 49"